Let's first tour the outside grounds, then enter the museum buildings. The museum contains one of the world's best collections of historical beekeeping equipment and bee-related art. There are approximately 65 pages in this tour. Let's go in! 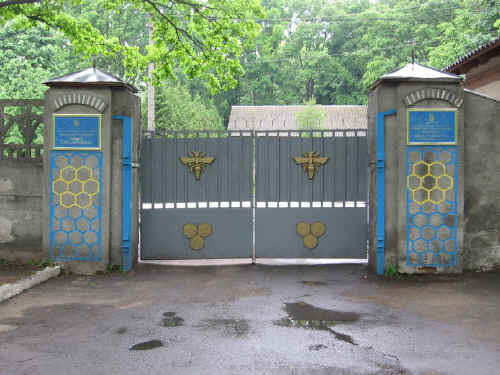 The Prokopovych Beekeeping Museum is located near Kyiv, the capital of Ukraine. Bee research is also conducted at this facility.